Malaysia Airlines Flight MH370 remains missing for a fourth day now, with not a single clue as to its whereabouts or why it suddenly vanished two hours after takeoff from Kuala Lumpur headed to Beijing. In fact, even if the plane is found tomorrow – presumably crashed – it could take investigators months, if not years, to piece the puzzle together as to what happened. But that hasn’t stopped the media, the public and most certainly the Internet from speculating about what happened. 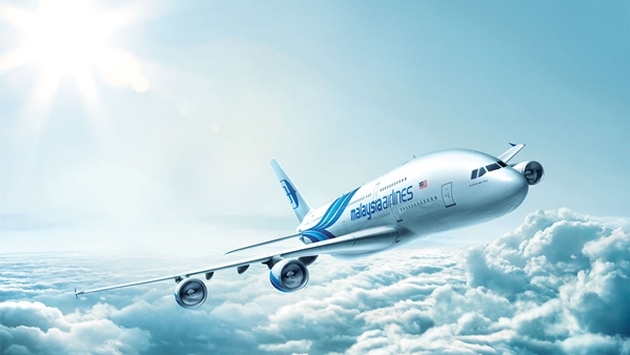 Here are some of the theories culled from media reports and online aviation forums on what happened to MH370, and whether they are plausible or not. Background: The International Business Times reported that at least two family members have reported calling the cell phone of their loved one and having it ring – but not answered. One family member even reportedly dialed the number on live television, heard it ring three times, and then disconnect. Plausibility Factor (1-10): 4. Family members certainly are clinging to any hope here and this is clearly heartbreaking. Reportedly, 19 families have signed a petition and asked Malaysia Airlines if they are hiding something regarding these ringing cell phones. An airline representative did say he called one of the numbers and could not connect. It would be extraordinary, but not impossible, that some electronic devices could have survived an impact and still be working. Background: The plane was struck by a meteor shower and blew up in mid-air before the pilots had a chance to relay a distress call. Plausibility Factor (1-10): 4. Possible, but not likely given that half the astronomists in the world would have known about this. Background: The plane was struck by a missile – either friendly or not – and blew up in mid-air before the pilots had a chance to relay a distress call. Plausibility Factor (1-10): 5. It’s not like it hasn’t happened before, as a Navy missile from the USS Vincennes mistakenly shot down an Iranian civilian plane in 1988. But by this point in time, four days after the disappearance of MH370, you have to believe whoever did it – unintentionally or intentionally – would claim responsibility. Background: One theory out there is that the plane was hijacked and taken to an abandoned air base in Vietnam. Plausibility Factor (1-10): 1. Have to believe something like that certainly would have shown up on commercial or military radar. Background: We live in a changed world. Enough said. Plausibility Factor (1-10): 7. This leaped to the top in the hours after the plane was reported missing. Its plausibility factor has decreated a bit for two reasons. One, as days go by no terror groups have claimed responsibility. Two, it’s unlikely a terror group would have hijacked a Malaysian plane two-thirds filled with Chinese nationals when their main goal is to terrorize Americans or Europeans. Background: Either the pilot made a drastic mistake, or a pilot decided to hijack the plane, just as one did last month in taking over an Ethiopian Airlines flight and diverting it to Switzerland. Plausibility Factor (1-10): 7. Neither is out of the question, particularly pilot error. In fact, just today, a report surfaced that the co-pilot of the missing flight invited two women into the cockpit for the duration of a 2011 flight. If true, it shows a decided lack of judgment, making you wonder what other mental errors the co-pilot or pilot might have made. As for a pilot hijacking, not all pilots are looking for asylum. In 1999, an EgyptAir Flight 990 plunged into the Atlantic Ocean. Investigators concluded that one of the pilots brought the plane down intentionally. Background: If the cabin is compromised nearly seven miles in the sky, it takes less than 15 seconds for a person to pass out from lack of oxygen. Plausibility Factor (1-10): 8. Not only would that explain why the pilots had little time to radio a call, but would also explain why no debris has been found in the search area so far. The plane could have flown thousands of miles on autopilot and crashed into a remote area. But, again, presumably this would have been picked up on radar. Plausibility Factor (1-10): 9. Planes might not fall out of the sky at 36,000 feet but they could disintegrate. It’s possible something catastrophic went wrong with either the Boeing 777-200 itself or its Rolls Royce engine which, again, would explain why the pilots did not radio a distress call.